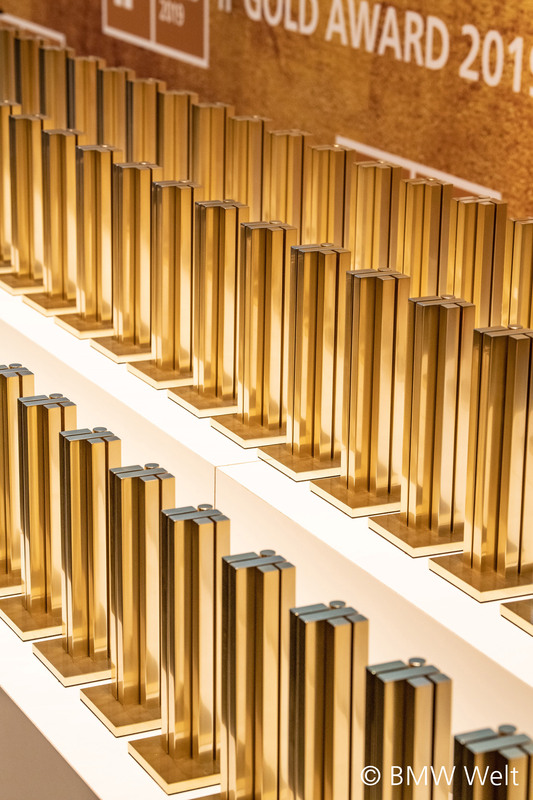 The periodic table of elements created at the studio was awarded a Gold iF Product Design Award. 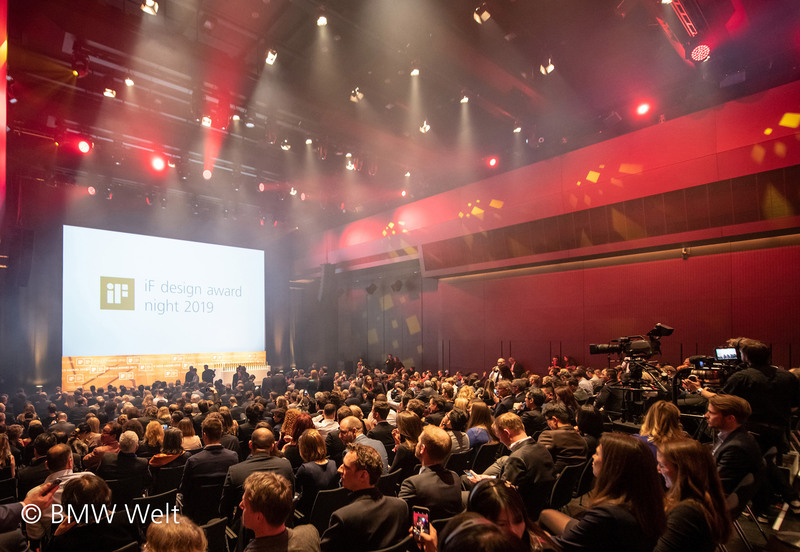 Every year, iF Design Award selects the best samples of industrial, communication, packaging and other types of design. 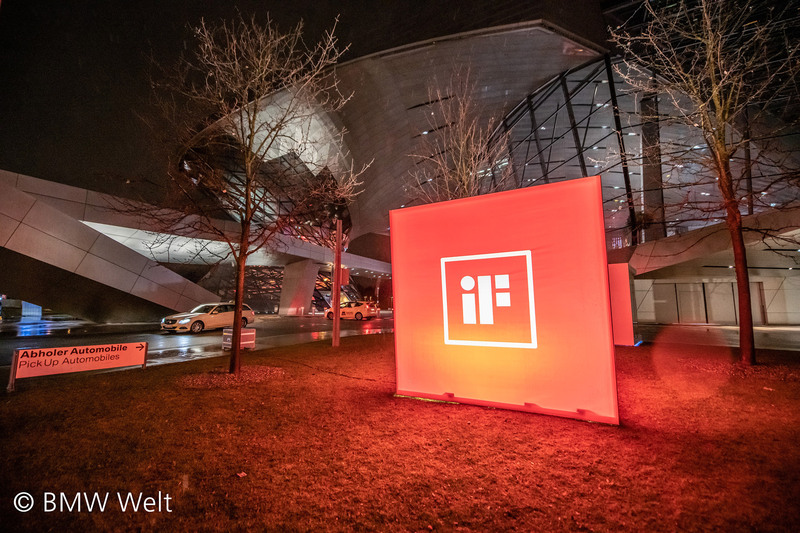 The award was created in 1954 and has become one of the most respected design awards in the world. 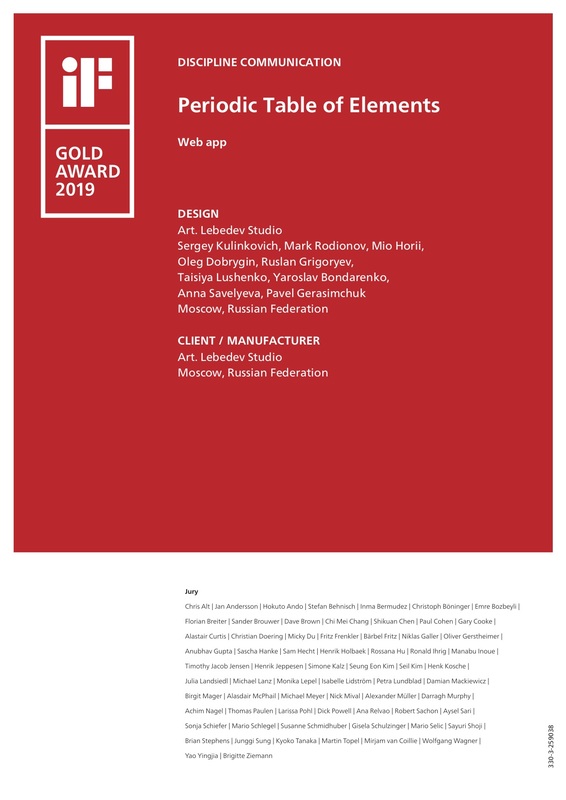 Over the entire 60-year history of the award, a Russian design was awarded the Gold prize only once before. This was the Felix Zawojsky website created by us. 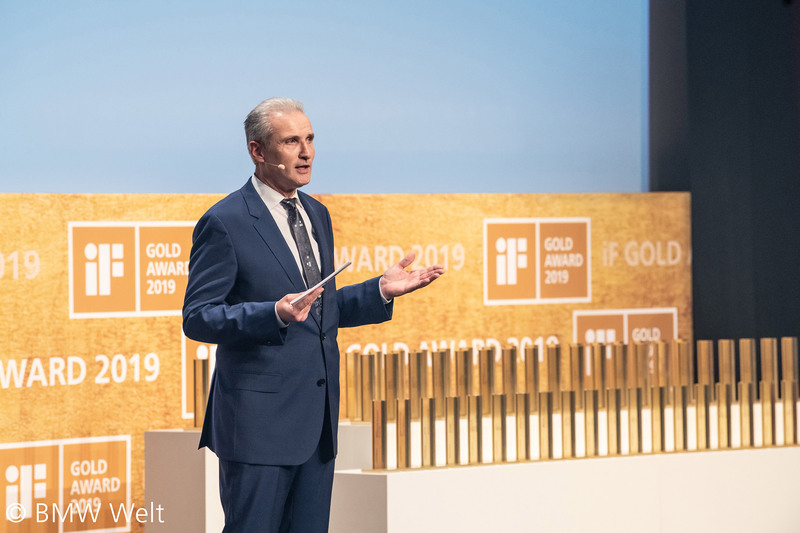 In 2019, the world’s largest companies were awarded Gold in various categories, including Google, Volvo, Samsung, Sony, WeeChat, Ferrari, Hewlett Packard and Art. Lebedev Studio. The Periodic table developed at the studio is unique as it has a variable design, allowing users to modify the complexity of the table according to their needs. A total of over 100,00 different configurations are available. This allows any student, scientist or teacher to find the ideal variant for their task at hand.